Every so often, a new discovery, invention, or thought causes people to re-examine themselves and their beliefs. 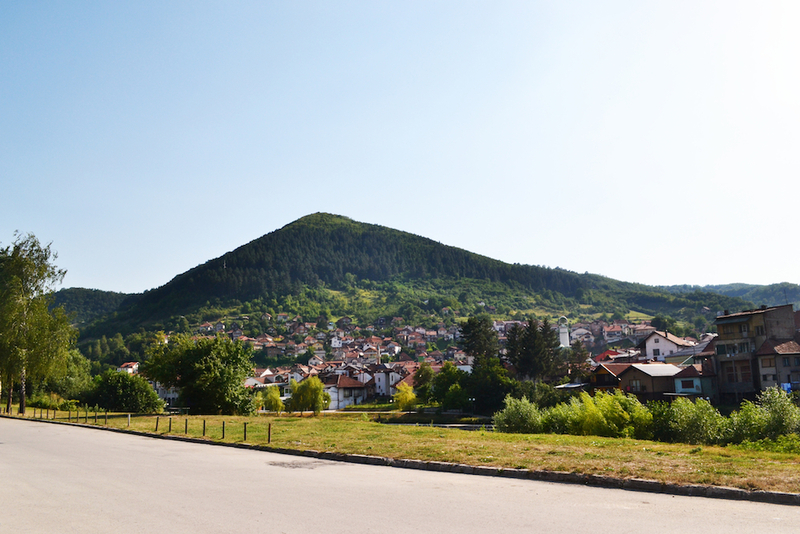 The so-called “Bosnian pyramids” were first “discovered” in 2005 at Visočica, near the Bosnian town of Visoko. By 2006, an archaeological dig was underway led by the Bosnian-American businessman Semir Osmanagić. His claim is that the large hills near the town are in fact the remnants of pyramids built nearly 12,000 years ago, which would make them twice as old as the Great Pyramid at Giza. Osmanagić has a PhD from the University of Sarajevo in social sciences, and has written about the hundreds of “pyramids” he has visited around the world, Mayan and Atlantean relations, conspiracy theories, extraterrestrials, the Freemasons, the Illuminati, and the ideas of such people as José Argüelles, David Icke, and Erich von Däniken. He has no formal background in archaeology, and has not published any reports about his excavations in scientific peer-reviewed journals. In fact, the scientific community rejects Osmanagić’s claims about the supposed pyramids at Visočica, claiming in turn that the formations are entirely natural and not geologically uncommon to the area, and that there are similar formations elsewhere in the world, such as the “twin pyramids” of Vladivostok in Russia. However, the feeling is apparently mutual. Osmanagić has stated that he’s “not interested in the approval of elite scientists. This project is for the people.” Osmanagić claims scientists dismiss him due to their own vested interests and the threat he poses to those interests, but he maintains that he has discovered information that opens a “new paradigm” of knowledge – even if that information appears rather elusive and pseudoscientific. The astrologically rich allusions are strengthened by Osmanagić’s appearance on programs such as Na Rubu Znanosti (“On the Edges of Science or Knowledge”), a Croatian television program that examines unexplainable paranormal phenomena and events and mysteries. If Osmanagić is viewed on YouTube discussing the Bosnian pyramids, the related videos listed often involve or include New Age tropes, conspiracy theories, and alternative history. Knowledge of Osmanagić’s claims and his digs also circulate online via New Age and conspiracy theory websites. From here, new volunteers are found to participate in Osmanagić’s archaeological project and do physical labor each summer. But, if New Age perspectives are too “alternative” to conventional knowledge and beliefs that they are typically rejected by most people, how does Osmanagić maintain a devoted following of believers? As researchers Marcus Alexander (Stanford University) and Fotini Christia (MIT/Harvard University) note, the “pyramids” have the ability to change the beliefs of individuals about their respective history, which naturally includes their religious history. The “pyramids” offer an alternative narrative where Bosnians are elevated in status thanks to supposed links to an ancient and advanced civilization. This sort of historical connection is noticeably attractive when the wars of independence in the early 1990s are considered. While religion was used as an identity marker during the wars (Muslim Bosniaks, Orthodox Serbs, Catholic Croats), Osmanagić’s project offers the opportunity for a country to unite by providing an alternative narrative and history that challenges older, divisive notions of religion and ethnicity. In an area where religion has been a source of so much conflict, this might be a good thing. As a result of the various power vacuums that now exist, mostly because of the breakup of Yugoslavia and the accompanying wars during the 1990s, Osmanagić has also been able to utilize the political situation to suit his goals. The Federation of Bosnia and Herzegovina (or, the Croat-Bosniak Federation) is divided into ten cantons, and Osmanagić is able to solicit funds from the cantonal governments that support him while the federal government refuses funds due to concerns about archaeological authenticity – particularly, the project’s amateurish nature and possible effects on genuine archaeological sites in the area. Regardless of their veracity, in a country with political problems, a troubled recent history, corruption, and poverty, the pyramids have nevertheless become a symbol of an opportunity to create a new identity – one characterized by “a glorious past and a more prosperous future.” The spectrum of New Age pseudoscience might also be offering the populace something that traditional science and the established cultural and religious histories haven’t been able to provide: when questions about the world around us are answered, a certain level of intrigue and mystery might be lost in the process. Indeed, the very nature of some of the individuals with whom Osmanagić’s is involved, and the work they put forward, rests on these types of speculative notions of history and religious origins. Popular television series, such as Ancient Aliens, revel in these types of explanations and perspectives; the fourth season even featured an episode about the “pyramids” at Visoko (“Secrets of the Pyramids”). Even if pseudoscientific and pseudoarchaeological movements and manifestations such as these are filling some sort of void alongside any nationalistic or ethnic augmentation, we have to ask ourselves whether or not they dangerously risk the blind destruction of actual cultural and religious history at the same time; in the case of Visoko, there may even be undocumented Neolithic, Roman, and medieval sites, as well as various fossils that could be getting destroyed or ignored amid the excavations taking place. This might not be too far off from the blatant physical destruction of historic monuments and artifacts in other parts of the world either. But, at what point is it no longer permissible for new, and seemingly unfounded, glory to risk compromising other relics of the past that are worthy of national and cultural pride? Maybe the sense of mystery and fascination that comes with the process of discovery – not necessarily the end result – is what’s at stake in these types of movements. Then again, maybe people like Osmanagić are just a little bit off the mark. Either way, it’s clear that when the local economy stands to prosper, the opinions and beliefs of those who stand to improve the sociocultural condition might not be so easily dismissed. Image Courtesy of Edinwiki (2013) via Wikimedia Commons. The Bosnian ‘pyramid’ saga has been a fascinating case study to watch develop, especially as contemporary political desires forced their way in to enhance certain narratives and shout down those who might propose alternative ‘anti-pyramid’ theories. Fascinating stuff, and great to see it covered here. Not a problem and glad that you enjoyed it. The Bosnian pyramids are indeed an interesting case study. I guess there are similarities in your last piece regarding heritage since sites become captive to competing ideologies, whether religious, political or commercial.